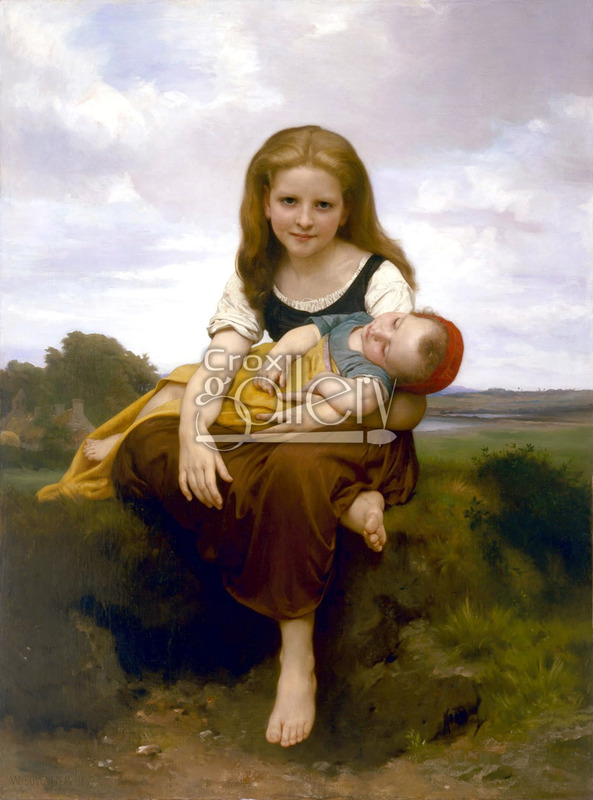 "The Elder Sister" by W. A. Bouguereau, Oil-on-canvas painting. 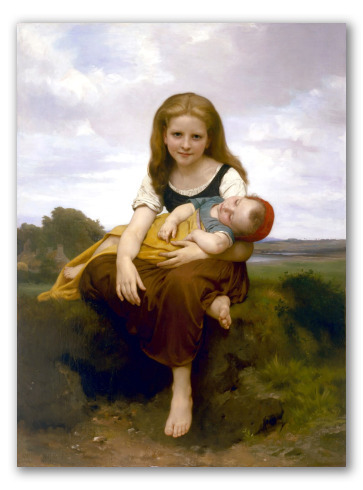 This oil-on-canvas entitled "The Elder Sister" was painted by William-Adolphe Bouguereau in 1869. It depicts a young girl, about 8 years old, who is seated at the edge of a path. Behind her, the mid-height horizon reveals an extense valley on a mostly cloudy day. The girl and her younger sister, who is asleep in her arms, are both dressed in the French clothing typical of the period. This canvas is currently found at the Museum of Fine Arts in Houston, Texas, United States.